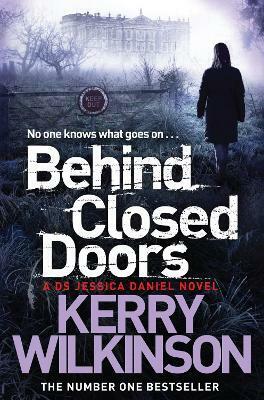 Kerry Wilkinson's sensational Jessica Daniel series returns with Behind Closed Doors, as Jessica faces her darkest mystery yet. People are going missing, turning up dead with only a vague link back to the house. But can Jessica beat her own demons in time to find out exactly what's going on behind closed doors? Kerry Wilkinson's debut, Locked In, the first title in the detective Jessica Daniel series, was written as a challenge to himself and became a UK Number One Kindle bestseller within three months of release. His three initial Jessica Daniel books made him Amazon UK's top-selling author for the final quarter of 2011. When Think of the Children followed in 2013, he became the first formerly self-published British author to have an ebook No.1 and reach the top 20 of the UK paperback chart. Following Playing with Fire and Thicker Than Water, Behind Closed Doors is the seventh title in the Jessica Daniel series. Kerry has a degree in journalism, plays cricket badly and complains about the weather a lot. He was born in Somerset but now lives in Lancashire, thus explaining the climate gripes.